For many centuries Tai Chi was practiced privately, passed on from father to son, in the Chen Village in northern China. In the mid-1800s Master Yang Lu Shan became the first to learn the Chen form, and as the commander of the imperial guards, taught this advanced self-defense method to his men. In the early 1900s His grandson, Master Yang Cheng Fu, modified his family’s form into what now known as Yang Style Long Form Tai Chi. 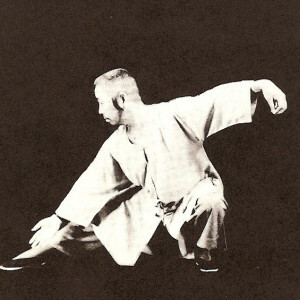 In the 1930s, Yang Cheng Fu’s famous student Cheng Man Ch’ing, shortened and simplified the Yang Style form while maintaining its martial arts applications. He taught it to students at a military academy and later to the Chinese army. It soon became popular with he public as a health exercise. This is known as the Yang Style Cheng Man Ch’ing Lineage form, Yang Style Short Form, Simplified Tai Chi or Cheng Man Ch’ing’s 37 postures. In the 1960s, Tai Chi began to take root in the United States and Europe. Grandmaster Cheng Man Ch’ing, a student of Yang Cheng Fu and already a renowned teacher in China and Taiwan, came to New York and became one of the first to teach this ancient exercise openly to non-Chinese students. Since then, his students, including Benjamin Pang Jeng Lo, William C.C. Chen and Maggie Newman have taught Cheng Man Ch’ing lineage Yang style Tai Chi to thousands of students across the United States and Europe, making it the most popular form worldwide. Tricia Yu, a certified Yang Style Cheng Man Ch’ing Lineage instructor, developed the Tai Chi Fundamentals® Program 1996. Designed as a prequel to the Yang Style Cheng Man Ch’ing Lineage form and influenced by decades of collaboration with health professionals, it makes Tai Chi accessible to a wide range of ages and abilities.